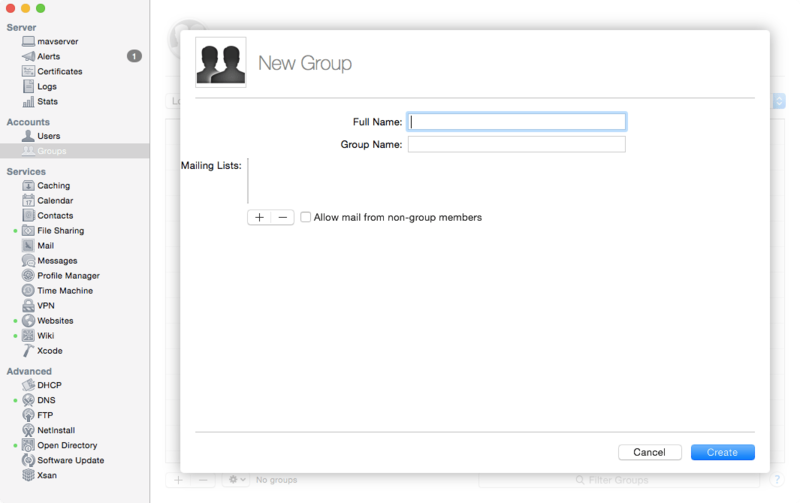 There are a number of ways to create groups in OS X Mavericks Server (Server 3). The first is using the Server app, the second is using Workgroup Manager (which could be running on an older operating system and connecting to the Mavericks Server in question), the third is using the Users & Groups System Preference pane and the fourth is using the command line. In this article we will look at creating groups in the Server app. Once a server has been an Open Directory Master all user and group accounts created will be in the Local Network Group when created in Server app. Before that, all user and group objects are stored locally when created in Server app. Once promoted to an Open Directory server, local groups must be created in Workgroup Manager, the Users & Groups System Preference pane or using a command line tool appropriate for group management. 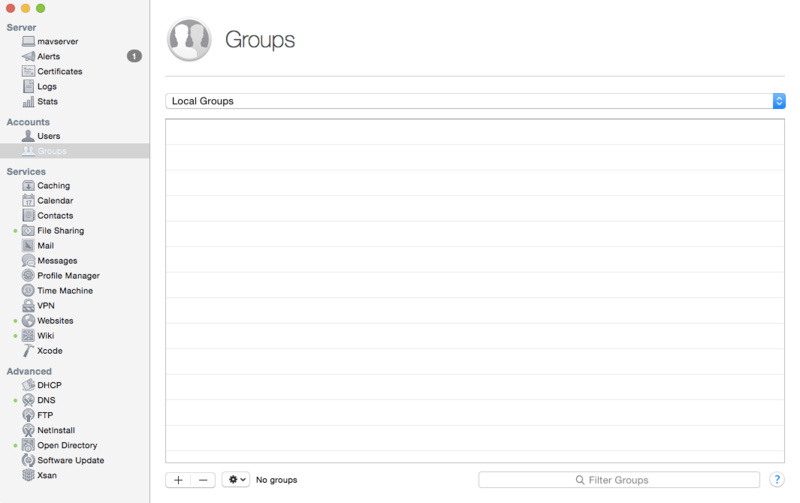 To create a new group, open the Server app and then click on Groups in the ACCOUNTS list of the Server app sidebar. From here, you can switch between the various directory domains accessible to the server using the drop-down list available. Click on the plus sign to create a local network group. At the New Group screen, provide a name for the group in the Full Name field. This can have spaces. Then create a short name for the group in the Group Name field. This should not have spaces. Click Done when you have supplied the appropriate information and the group is created. Once done, double-click on the group to see more options. Give this group a shared folder: Creates a shared directory for the group, or a group with an ACL that grants all group members access. 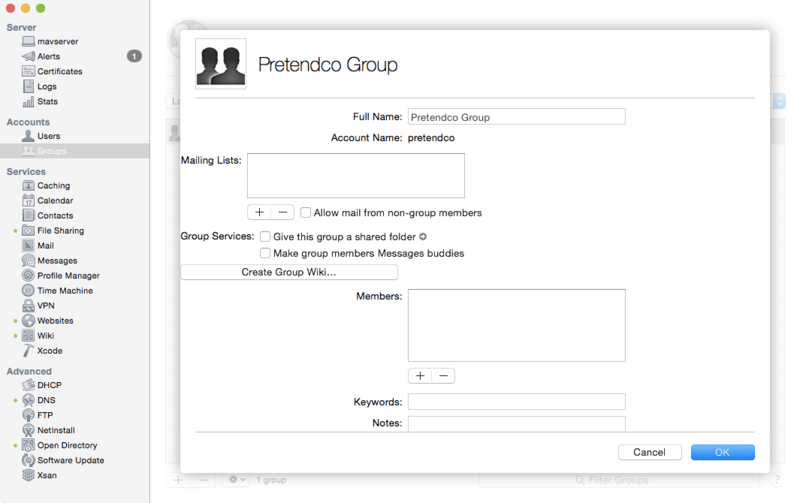 Make group members Messages buddies: Adds each group member to each other group members buddy list in the Messages client. Enable group mailing list: Enables a list using the short name of the group where all members receive emails to that address. Create Group Wiki: Opens the Wiki interface for creating a wiki for the group. Keywords: Keywords/tags to help locate users. Once changes have been made, click Done to commit the changes.